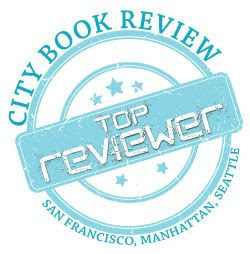 book reviews, writing, and much more . . .
With the growing enterprise that is Buffy the Vampire Slayer – even though the show is long finished – doing very well with the successful comic book series co-written by creator Joss Whedon; Dark Horse Comics presents the original Buffy board game: Conversations With Dead People. The board game is essentially a fancy-looking Ouija Board lavishly designed with clear letters and flowery corner patterns. 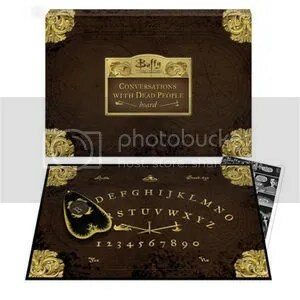 With a large planchette that makes the board very easy to use, it is the ideal gift for any Buffy fan who has ever wished to dabble in the “dark arts” and take a step into the “supernatural world.” It is also an excellent Ouija Board for those looking, regardless of their interest in the successful show. If you liked this review and are interested in purchasing this game, click here. Originally written on October 10th 2008 ©Alex C. Telander. Click here to subscribe to Bookbanter and get reviews, writing, and much more. New posts are published every Monday, Wednesday and Friday.